It appears the New York Jets had some interest in Kirk Cousins. 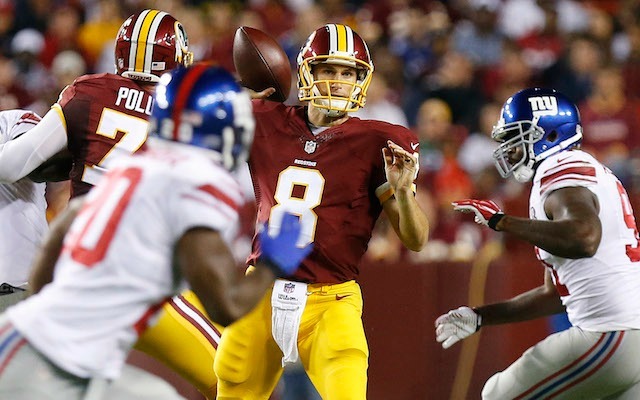 The Jets inquired about trading for the Washington Redskins signal caller several weeks ago, according to a report from NFL Network's Ian Rapoport. When Geno Smith broke his jaw, #Jets didn’t know how long he was out. One team they called: The #Redskins about trading for Kirk Cousins. The Redskins had no interest in trading Cousins, which means head coach Jay Gruden knew then that he’d be sitting Robert Griffin III.